Swallows are beginning to start their spring migration, and they travel hundreds of kilometres a day at a speed of over 30km/h! These small birds are vulnerable to starvation, exhaustion and storms, so when they arrive in Canada they will be grateful for all the help they can get to recover. Before we get started, here’s how to identify swallows. 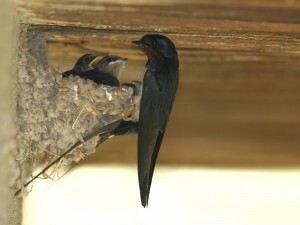 Swallows used to breed in caves, but now almost always nest in the eaves of buildings such as barns. However, they also inhabit much busier places, and can be seen flitting in and around bustling restaurants and markets. 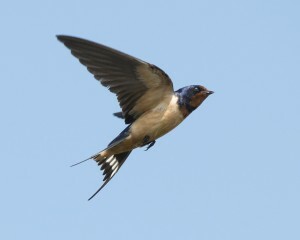 For this reason, swallows are one of the most familiar bird species in the world. Even if you didn’t know what it was called, you’ve probably seen them before! 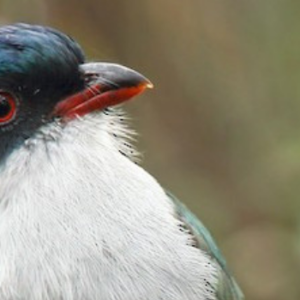 One common species seen around the world is the Barn Swallow. 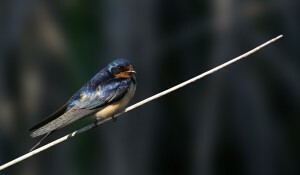 The Barn Swallows are small birds with dark, glossy-blue backs, red throats, pale under parts and long tail streamers – the so-called “swallow tail”. They are extremely agile in flight and spend most of their time flittering around catching insects. How can you help swallows this spring? If there’s a nest nearby you, try to pay extra special attention to it – without disturbing the swallows of course! Also, try to note the dates of arrival, egg-laying, hatching and fledging so we can compare them to next year. If you see or hear people complaining about swallow nests – rather than destroying them – help them put up a board to catch the droppings! 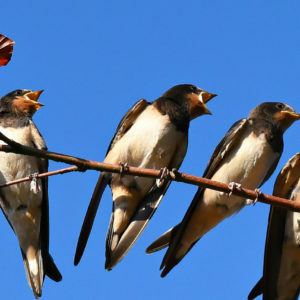 Swallows are insectivores, so the more insects attracted to your garden, the more food the swallows will have to eat! 5. 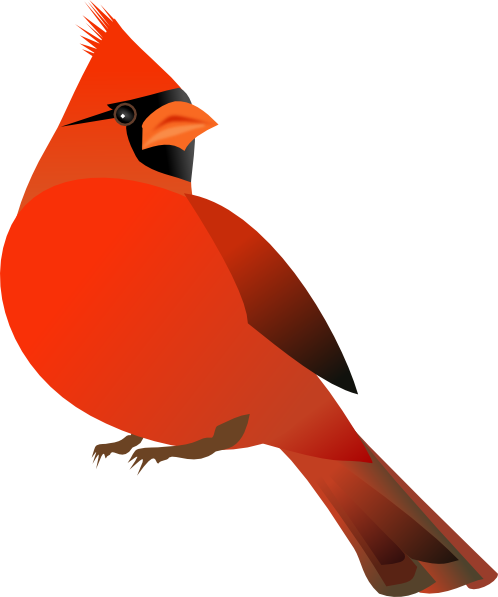 Fill out the Nature Canada survey! Nature Canada has a quick, five minute survey on Barn Swallows, which asks a few simple questions about populations in your area. This allows us to compile valuable insights and information from our fellow-citizen scientists! 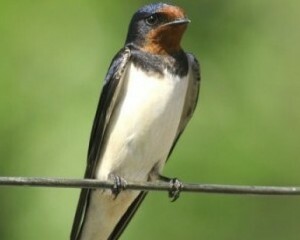 Another way to help swallows this spring is to sign Nature Canada’s petition asking the government to list both the Barn and Bank Swallows as threatened. 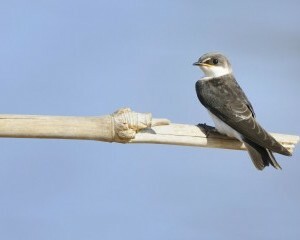 As well, more birds a part of the swallow family need to be assessed for better protection. Sign the petition today for your voice to be heard to help these species! Barn Swallows from Europe spend the winter in sub-Saharan Africa, Arabia and India. Their wide-ranging flight course makes them great ambassadors for linking countries, and building initiatives, such as Spring Twins, which pairs schools in Africa and Eurasia who share swallow families.